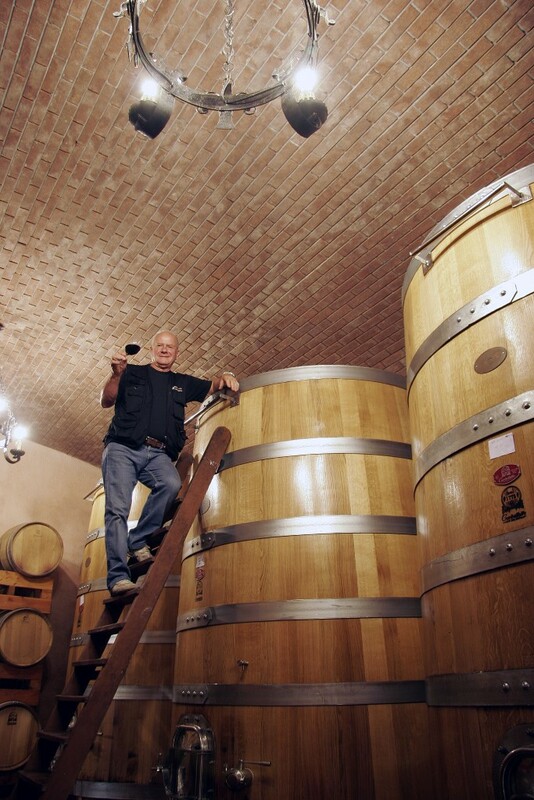 The Castellani winery was established in 1945 by Michele Castellani who, with hard work, enthusiasm and entrepreneurial skills, set up what at first was a small cellar, a small workshop, where he spent his days creating ever better products. 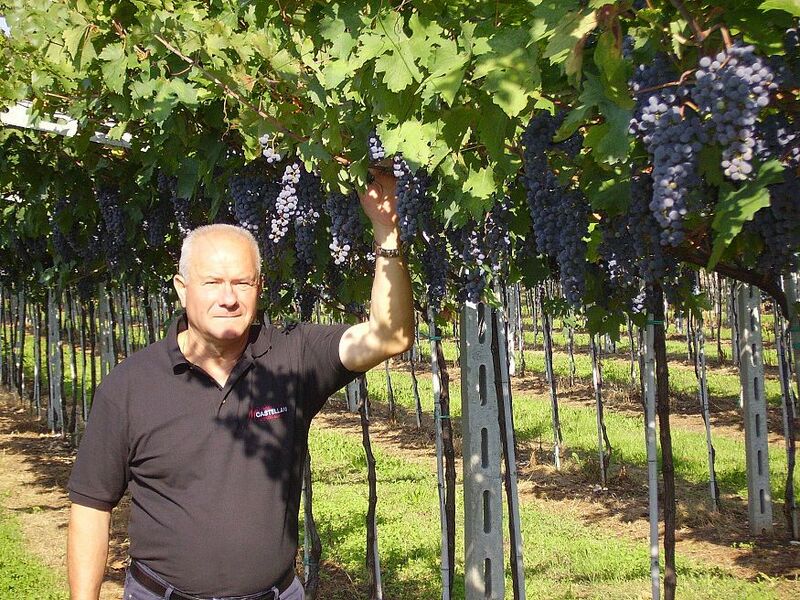 Michele initially sold his wines to more famous Valpolicella Classico producers, until in the early 1990s his son Sergio decided to expand operations and start bottling under the Castellani name. 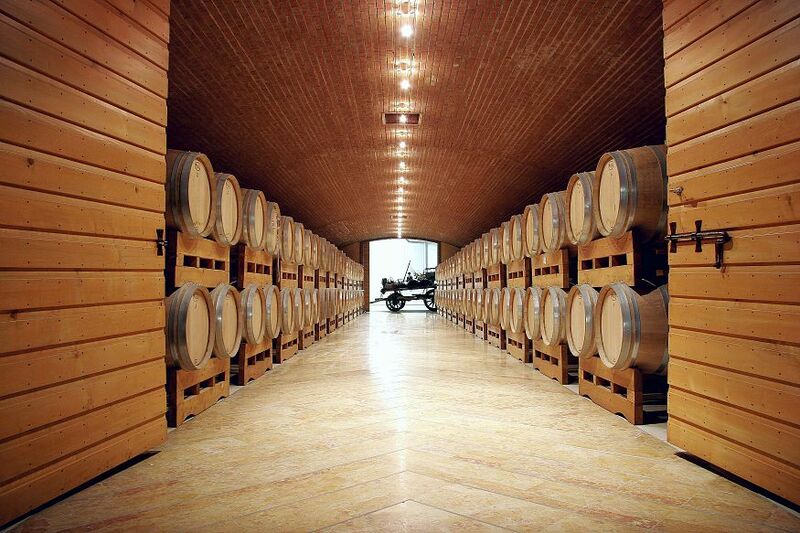 Sergio made substantial investments in the vineyards and in equipment and turned this family-run operation into a state-of-the-art, award-winning winery well renowned in Italy and abroad. Today Sergio, with his wife Maria, personally oversees every step of the production and is supported by his son Michele in the winery and his daughters Martina and Mara in administration, marketing and sales. 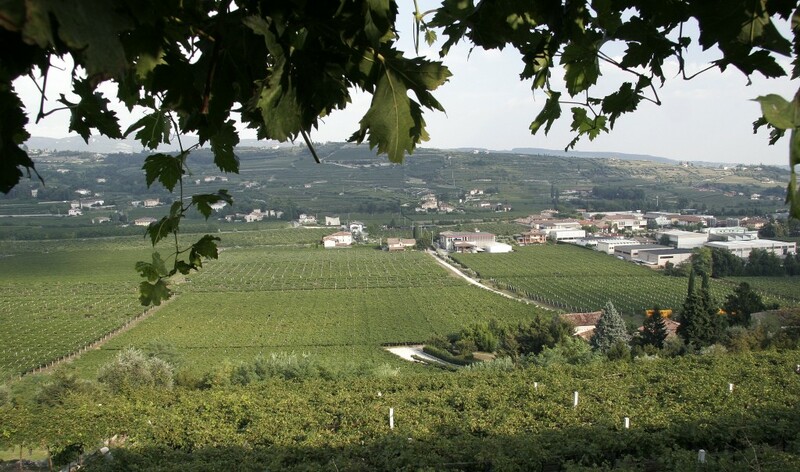 Located in Marano della Valpolicella, the estate consists of about 40 hectares of directly owned and grown vineyards in the hillside area of the Valpolicella Classica. 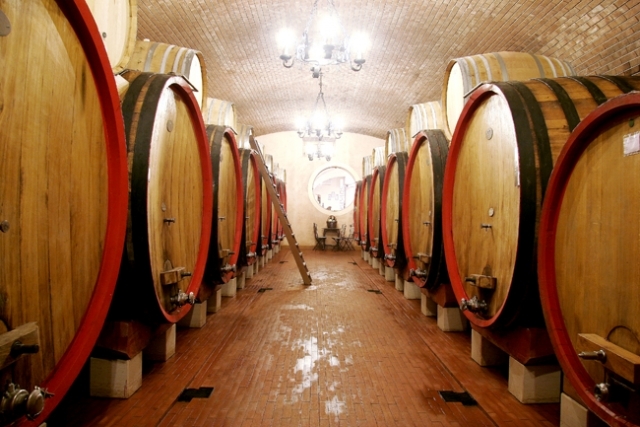 The well-known Ca del Pipa and Castei vineyards, located at the top of the winery (and a new vineyard at Maso, in Negrar) are planted to the classic Valpolicella varietals and offer ideal exposure, constant ventilation, soils with a well-balanced composition both in terms of nutrients and draining capacity, carefully-chosen training systems depending on the vine variety (“pergoletta” for Corvina, Corvinone and Rondinella, guyot for grapes like Oseleta or Croatina) with very excellent planting densities. 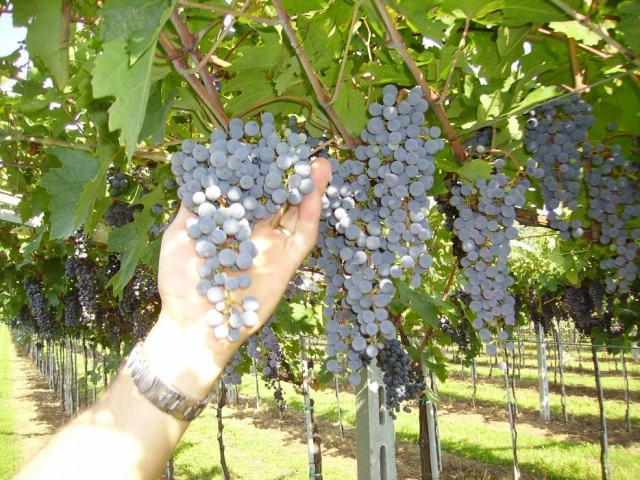 These characteristics, combined with selective winter pruning and summer thinning operations aimed at controlling the natural growth, as well as the selection of the best harvesting time depending on the grapes phenolic and aromatic maturity, enable the company to harvest grapes at the peak of their organoleptic potential. 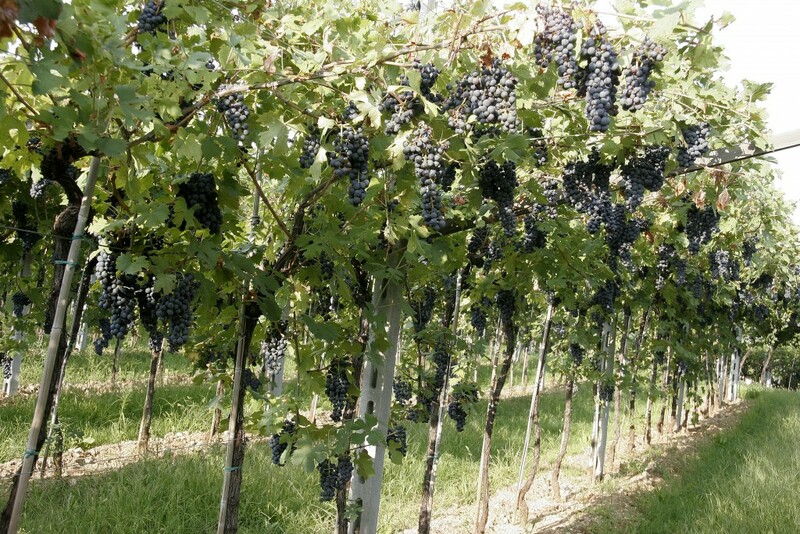 The utmost care is given to the drying of grapes for the production of Amarone and Recioto, a process that is carried out in large and modern plants to preserve the grapes wholesomeness and a good control of their well-balanced and regular ripeness. 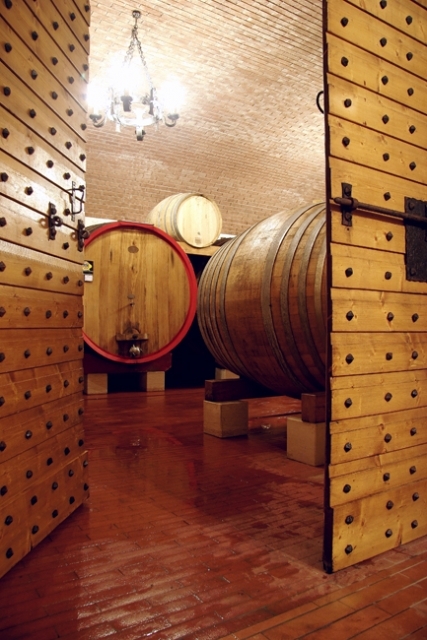 The vinification of fresh and dry grapes and wine production are carried out by integrating modern technologies with the most traditional ones, in a perfect combination between tradition and innovation, visually represented by large oak barrels next to small barriques, and well expressed by a range of products closely linked to their territory, but offered in an interesting and modern interpretation. The neat and tidy cellar. 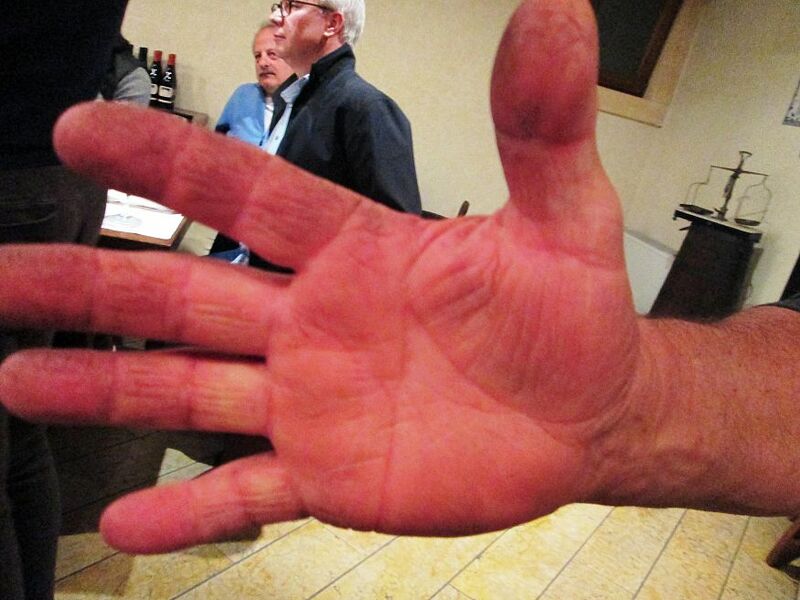 Sergio's Amarone-stained hands are famous among all Valpolicella producers. 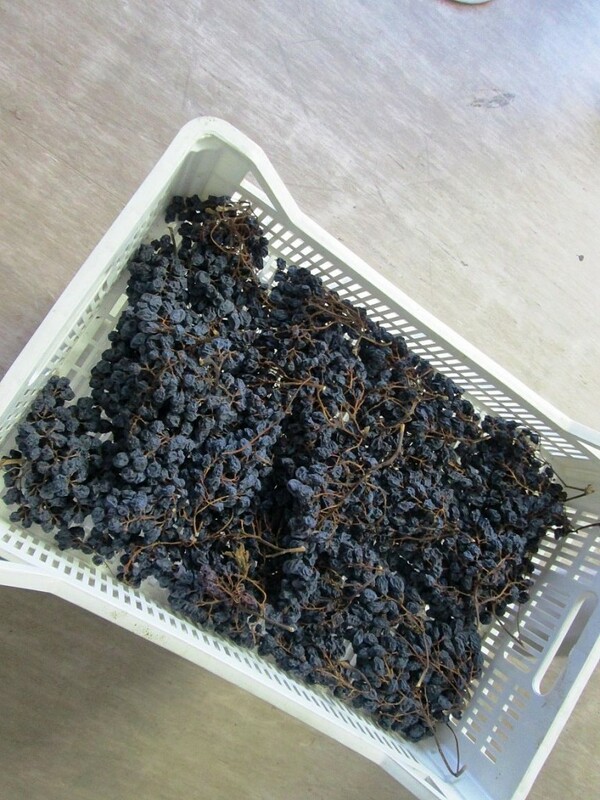 The unobstructed exposure of the Castellani vineyards ensure ideal ripening of the grapes. View of the Marano Valley.